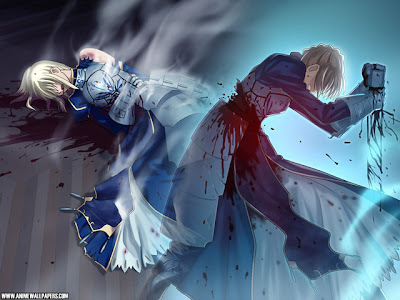 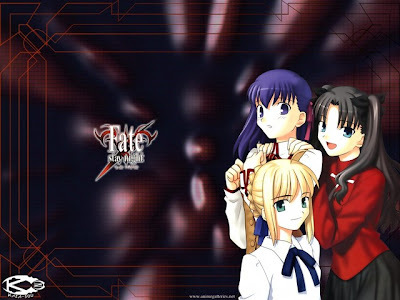 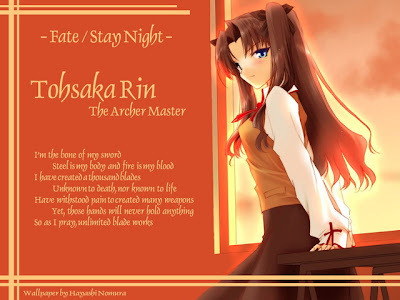 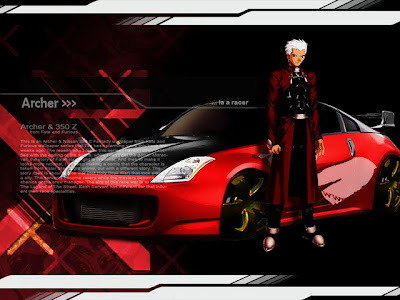 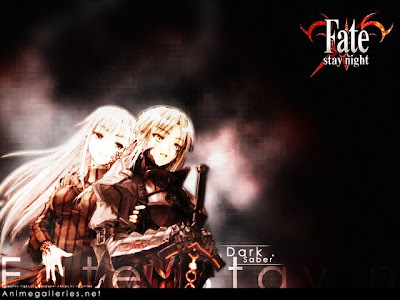 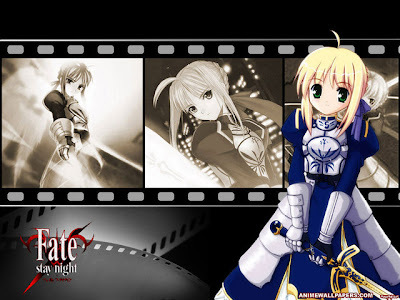 Fate/stay night (フェイト/ステイナイト, Feito/sutei naito) is a Japanese adult visual novel game created by Type-Moon, which was originally released on January 30, 2004, for the PC. 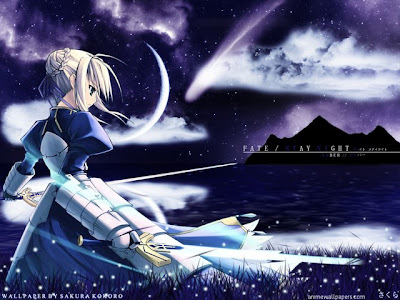 It has been adapted into an anime television series, which was animated by Studio Deen and aired between January 6, 2006, through June 16, 2006. 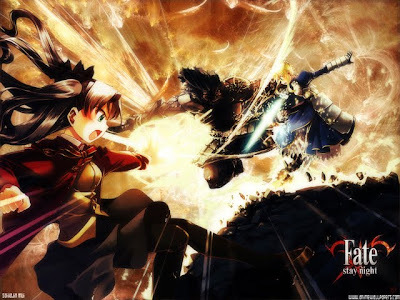 The official announcement and teaser trailer of the anime were first shown at the Rondo Robe 2005 "-Gate to Date-" event in Japan on June 26, 2005, and a curtain-raiser DVD was released in Japan during November 2005. 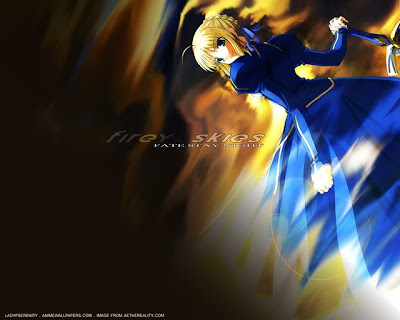 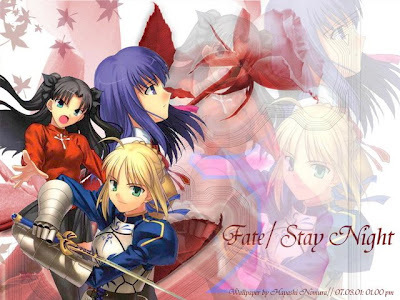 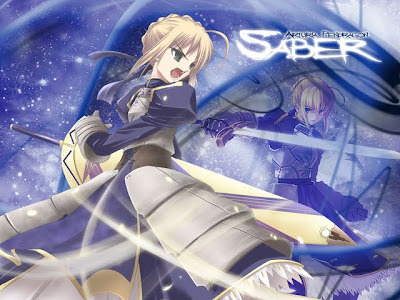 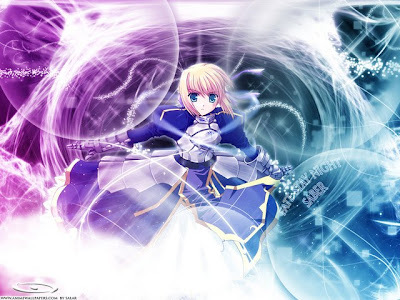 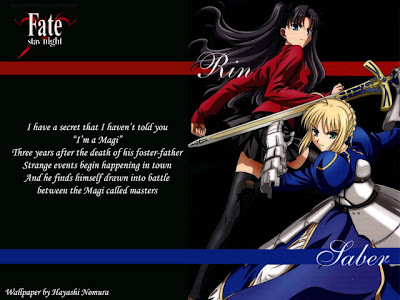 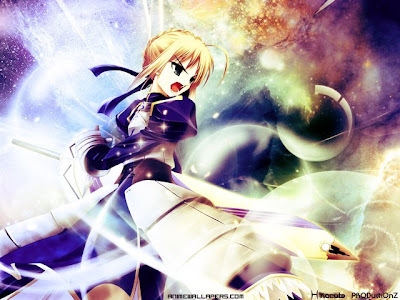 An all-ages version of Fate/stay night, titled Fate/stay night Réalta Nua, was released for the PlayStation 2 on April 19, 2007, and features the seiyū from the anime series. 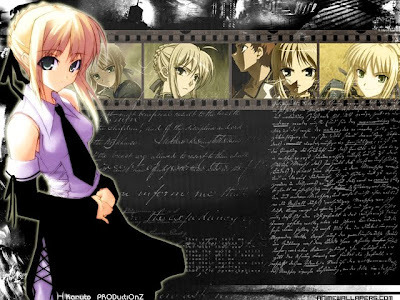 The series has been adapted into a manga series, which began serialization in the monthly Shōnen Ace magazine.